Before answering that ad in the paper, “Harley For Sale”, there are things you may wish to consider. Putting down your hard earned money on that Harley (or any other motorcycle) is a big step. There is nothing better than the feeling of ownership, especially if it’s your first Harley-Davidson. Unlike a car, owning a motorcycle is more personal and how close a rider feels to his/her bike stems from the riding experience itself. Therefore before you buy, whether used or new, it’s good to think about what kind of Harley or other motorcycle you wish to own.If you have already determined the type and style of Harley you are looking for and have made up your mind to buy “used”, please check out the article on Title and VIN Numbers.Sometimes knowing what kind of Harley you want is easier than scraping together the money actually buy it. If this sounds like you then skip forward to Buying a Harley. Motorcycles come in many different styles and it is important to match the bike to your riding style and expectations. Harley Davidson is known more for their cruiser and custom style bikes than for sport bikes, even though the Sportster falls under the sport bike category to some degree. Your riding style is important since this will directly effect the riding experience for you. In other words, if taking long road trips is what you have in mind then buying a sport bike isn’t the best choice. This may seem obvious but you’d be surprised how many people buy a bike that ends up sitting in the garage because it didn’t fit their needs. Others make the mistake of buying a motorcycle that is beyond their riding ability. Buying a motorcycle that is too big or advanced for you will either end up discouraging you from riding or worse, result in injury. Select a motorcycle that you can skillfully maneuver and manage. If you are a beginning rider you should pick a bike that is light handling and not over-powered for your skills. Only after those skills improve should you move up to a heavier or higher powered bike. If you have decided that a Harley Davidson is your motorcycle of choice it is time to consider the various Harley models available. Here are a few styles when selecting either a new or used bike. New Model Reviews Coming Soon! Touring Sometimes referred to as “Baggers”, touring bikes range from fully dressed travelers to cruisers ready for a road trip. If you are planning to take long trips this style of bike is for you. When picking out a touring bike weight is something to consider. Touring models are comfortable for long hours in the saddle but can weigh in around 800lbs fully loaded.For a beginner this may be too much to handle. 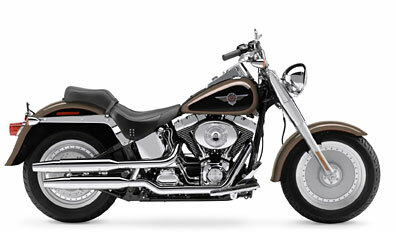 Harley touring bikes include the classically styled Road Kings and the fully equipped “Glides”, such as the Road Glide and Ultra Glide. 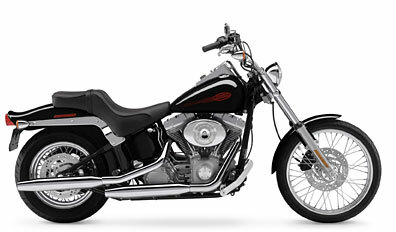 These bikes fall under Harley’s FL designation with the exception of the Heritage and Fat Boy. See Harley model designations for an explanation of model numbers. Cruisers Harley Fat Boy, Heritage, and the earlier Nostalgia model would fall under this category. While not an official category of motorcycle with Harley Davidson, these bikes are similar to touring bikes due to their big FL style front ends though they are classed as Softails. While not as heavy as full touring bikes these bikes are still heavy and not for the beginning rider. Softails These bikes are unique to Harley Davidson and have the look of a rigid mount bike from the early days. Softails incorporate a hidden shock to provide rear suspension and are very popular as a daily rider or as the foundation of a Harley custom. These bikes are lighter in weight than their touring and cruiser brothers. Dyna Also known as a “rubber mount” the Dyna model has a dual shock rear suspension like the touring bikes but a lighter front end shared with both the Softails and Sportsters. Unlike these others the Dyna has a rubber mounted engine to reduce engine vibration. 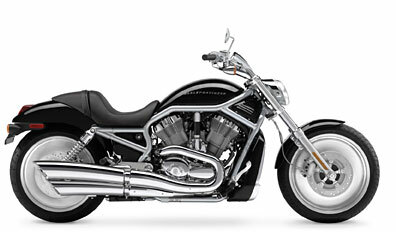 Dynas come with either a wide-glide or sportier narrow-glide front end. Some consider the Dyna a street-class bike. Sportster Harley Davidson’s core sport bike model has long been the Sportster or “XL” model. These bikes have a smaller engine and frame design and are the lightest bikes offered by the motor company. Long considered a great bike for beginners or smaller individuals (such as lady riders) these bikes are by no means any less of a true Harley than their big brothers. 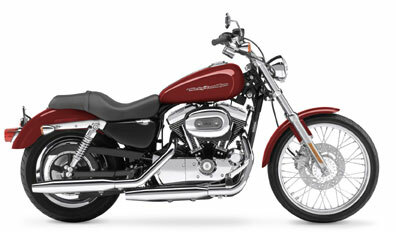 Sportsters are the only Harley offered in two engine sizes, the 883 and 1200. The sportster is also a great choice when money is a factor since they tend to be offered at half the price of a big twin Harley Davidson used or new. If in the market for a new Sportster the 2004 model is now equipped with a rubber mount engine which drastically reduces vibration. V-Rod Harley’s newest model is the V-Rod. Very different than any of the other model this bike combines the power and style of an imported sport bike while maintaining stretched out forward controls that are uniquely Harley. The engine is also a departure from tradition with the introduction of a water cooled instead of air cooled powerplant. V-Rods have yet to grab hold with most of the old-school Harley crowd but may be exactly the bike for you. Buell While not exactly a Harley, these sport bikes are American made and owned/sold through Harley Davidson. A true sport bike with looks and styling like an import sport bike the Buell is powered by an American V-Twin engine. This is a great all-around bike for daily riding and carving up a canyon road. 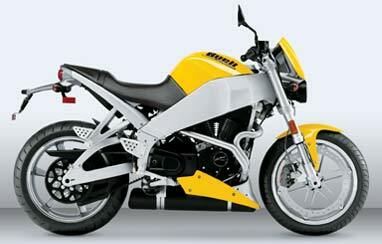 Buell’s come in several engine sizes and are a fun bike whether you are a beginner or seasoned rider. 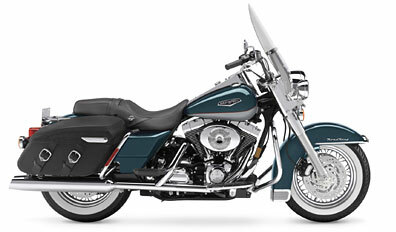 Once you have decided on a style of Harley or other motorcycle, you need to decide if you want to buy new or used. Money is of course the greatest factor when buying a used motorcycle. Unfortunately you cannot always be aware of a used motorcycles history. Did the previous owner(s) properly maintained the bike? Buying a brand new motorcycle you will have the warranty to fall back on if something goes wrong but but is very expensive. 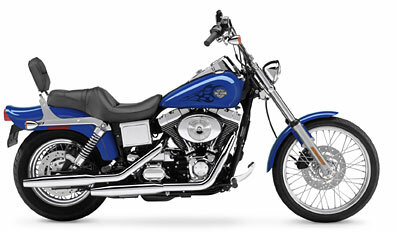 A used Harley can be an excellent choice for beginners and most of the newer models are very reliable even when used. When selecting a Harley Davidson used it is advisable to ask for maintenance records. Inspect the bike to see if it has been sitting around or in storage. A bike that has been sitting for long periods will always give you problems down the road. Fluids and soft components like seals need to stay in service and fail after long periods of non use. Test ride the Harley if the seller will allow it. Take a friend along who has mechanical experience to help you inspect the bike’s components. Beware of heavily modified Harley’s (engine wise) since some areas have strict regulations for emissions testing upon transfer of ownership. Most sellers will answer all your questions and have legitimate maintenance records, but stay away if the owner seems shady no matter how good the deal is. The bike should have a current title and be in the name of the seller. Above all never buy someone else’s problem Harley. Your money is better spent on customizing your new ride rather than fixing a laundry list of pre-existing problems. You’ve decided what type of Harley you will own and now it’s time to look and buy. If your choice is a new bike then your options are simple. A visit to your local dealer and your set. But what about a Harley Davidson used, what are your choices? There are many choices as long as you know what you are looking for. When buying used be sure you know the Blue Book value.Harley Davidson Dealership The advantage of buying a used or trade-in Harley from your local dealer is their service department has likely reconditioned the bike for resale. Dealers don’t want customers dissatisfied by poor condition products and will usually do their best to deliver a quality bike that meets their standards. The down side is price. Because they are a large dealership they will have overhead and trade-in costs to factor into the sale price. While most dealers offer financing, their rates and terms may not always be the best. Some dealers and the banks they use will only finance a new bike. One alternative is to walk into a dealership with a pre-approved check from a bank or finance company. There are many competitive finance companies that are biker friendly and have loans for both used and new motorcycles. See Buying a Harley for more information on how to finance your next Harley. Avoid motorcycles from auto liquidators or used car dealers unless you have a strong mechanical background to properly inspect the bike for problems. Auto dealers know nothing about motorcycles but will tell you anything for the sale. Private sellers Local newspapers don’t always have a large selection of Harley’s to choose from if any at all. Some regions have classifieds or Trader publications specifically for motorcycles. As mentioned earlier, check these bikes out thoroughly. Beware of those Harley for sale – CHEAP ads as there is usually a reason why they are so cheap. Don’t believe every claim stating “because it’s a Harley the bike is worth more” or “this bike is a rare limited edition“. Don’t believe it unless you have done your research to prove such a fact. Good buys can be found with patience. Online Auctions There are good deals to be found online as long as you know what you are looking for. Those thinking of purchasing a harley on eBay should first check out these eBay tips. Buying a Harley for sale online is often a secure transaction backed by an escrow that guarantees the sale for both parties. The only drawback is location. The Harley for sale could be half way across the country so unless you are will to make the trip or pay for shipping it is better to do business with a seller in your area. For some people the traveling or shipping are made up for by the value of the deal they can get when buying through an online auction. This form of buying a used Harley has exploded in popularity opening up a whole new option for both sellers and buyers. Make sure that your seller is reputable and the auction provider is legitimate. Insure Your Ride Don’t forget to insure your new or used scoot. This is often overlooked and could end up costing you more than you expected. This is also a good opportunity to save some cash to spend on your new ride or chrome goodies since you could save money on your current insurance (both car and bike). Rather than spending time on the phone with insurance agents, check out Geicoand get a free online quote without getting hassled by someone trying to sell you. I shopped several and saved a grip of cash compared to what I used to pay for insurance. I also ended up with better coverage from a company that provides insurance specific for motorcycles and not just modified auto coverage. Enjoy the Ride!! !